Buy arcade machines from us directly by getting in touch for some friendly and helpful advice on which model would be best for you or go straight to our Bespoke Arcades factory store if you already know which arcade machine is the one for you. 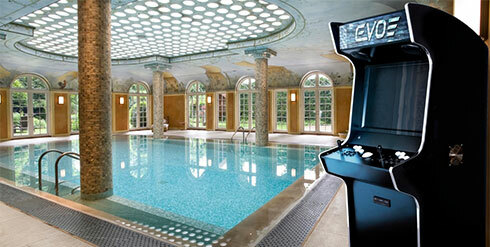 If planning a trip into London why not go and see our arcade machines at Harrods? We have the Evo arcade cabinet and Nu-Gen arcade games machine on display and ready to test in the new games department in Harrods Technology on the 3rd floor. 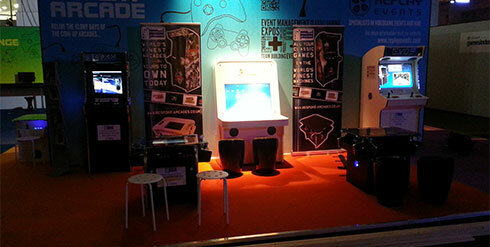 You can then choose to buy our arcade machines from them or contact us to order directly. NB – The Harrods Technology Department is currently undergoing a refit so our cabinets are currently in storage and are not on display. They are due to be back on display towards the end of the year. Apologies for any inconvenience that this may cause. If you’d still like to come and try out our cabinets and are in the London area, please feel free to book an appointment at our Potters Bar workshop. Go play and test out some of our arcade machines in a more relaxing atmosphere with a coffee, beer or gaming cocktail at Scenario aka LOADING Bar in Dalston, London. 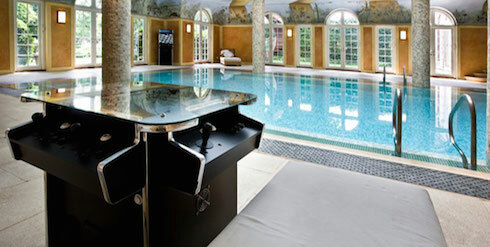 We are widely established as the no 1 producer of custom arcade machines in the world and have our machines on display at some of the most prestigious stores such as Harrods and Selfridges. 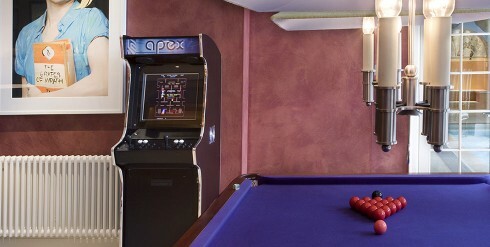 The arcade cabinets that we sell via our Bespoke Arcades brand are luxury arcade machines and essentially the ONLY high-end arcade machines available anywhere. Please feel free to visit us or any of our stockists by appointment at your convenience if you would like to test out any of our arcade machines and see for yourself why our arcade machines are far superior to any other. We sometimes run promos to direct contacts and often have ex-display arcade machines available at a reduced cost so it is always worth getting in touch if you’ve always dreamt of having your own machine. All our arcade machines are plug-and-play with full instructions and access to our helpline number for any questions or queries regarding the arcade cabinets. Every cabinet is manufactured to order with lead-times approximately 2-3 weeks from receipt of your order. Unlike any other multigame arcade machine manufacturer, we provide full 24-7 telephone support for the life of all our products and stand by the quality of all our components to deliver a gaming experience unsurpassed by any other arcade machine currently available. Please rest assured, when you buy from Bespoke Arcades, you purchase quality and peace of mind as we take great pride in every machine that we build. All arcade machines for sale are backed by a 12 months manufacturer’s warranty with the first 90 days an onsite warranty (UK Only), and the remainder of the 12 months (and overseas orders) back-to-base. Pallet delivery is included as FREE for most of the UK mainland. We recommend that clients have another able-bodied person with them to assist in unpacking and placing your machine when accepting the delivery. When shipping to you, we ensure that every arcade cabinet leaves our workshop in pristine condition, safely wrapped ready for is outbound voyage. If you are situated overseas, this is no problem as we can ship our arcade cabinets to almost any location so please contact us with a shipping address for a direct quotation for your chosen arcade machine shipped right to your door. Bespoke Arcades can ship almost anywhere at an affordable upgrade charge – our machines have delighted their owners in destinations as far away as Nigeria, Saudi Arabia and Australia as well as countless other worldwide locations. For more information on how to buy arcade machines from us please see our FAQ’s section or call us directly on +44 (0)207 935 9005.